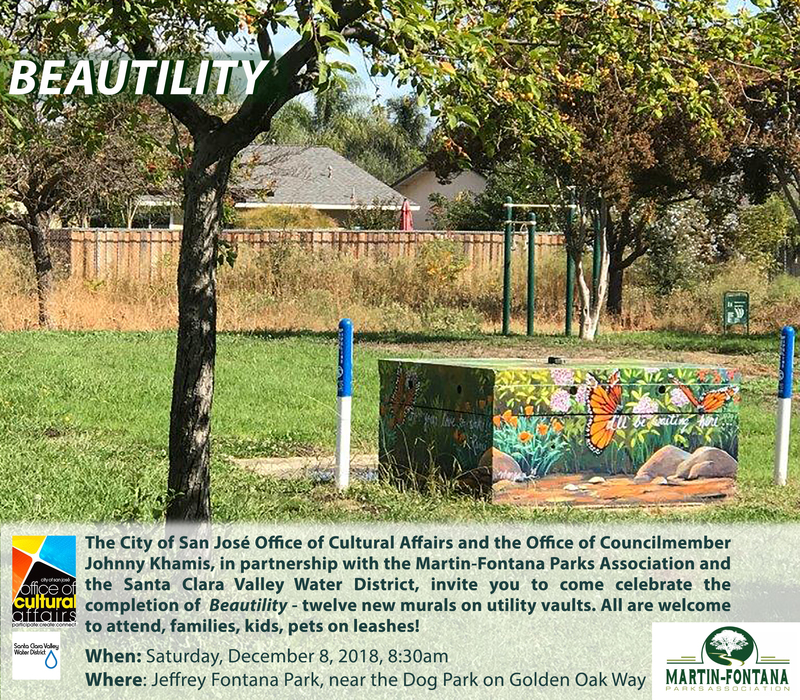 “Join us on Saturday, December 8th, at 8:30 AM, for an early morning celebration of the completion of the Beautility water vault painting project – a project to beautify local utility infrastructure in TJ Martin and Jeffrey Fontana Parks. There are twelve concrete block structures, called water vaults, throughout both parks, stretching from Almaden Expressway to Coleman Road. 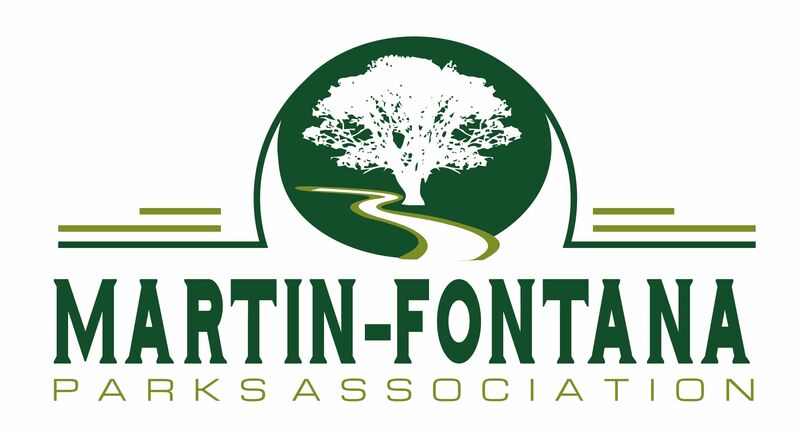 The Martin-Fontana Parks Association (MFPA) was interested in having murals painted on them to make them a more beautiful part of the park, instead of the boring concrete ‘blocks’ that they are. My team and I looked carefully through the District 10 Parks budget and found that there was funding available in the line item for Park Art. We proposed the idea to Michael Ogilvie, Director of Public Art for the City’s Office of Cultural Affairs, who was immediately excited about the project. 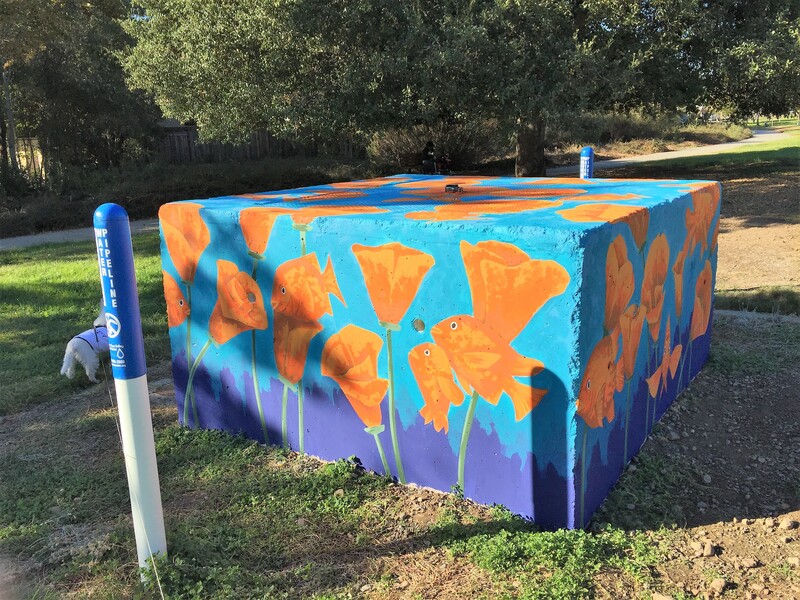 He worked closely with our partners at the Santa Clara Valley Water District (SCVWD), the owners of the vaults, to get all the permissions and permitting required, and posted a Request for Proposal, seeking artists to paint the murals. A Review Panel was convened, which included community members, and six artists were selected, each given two vaults to paint. 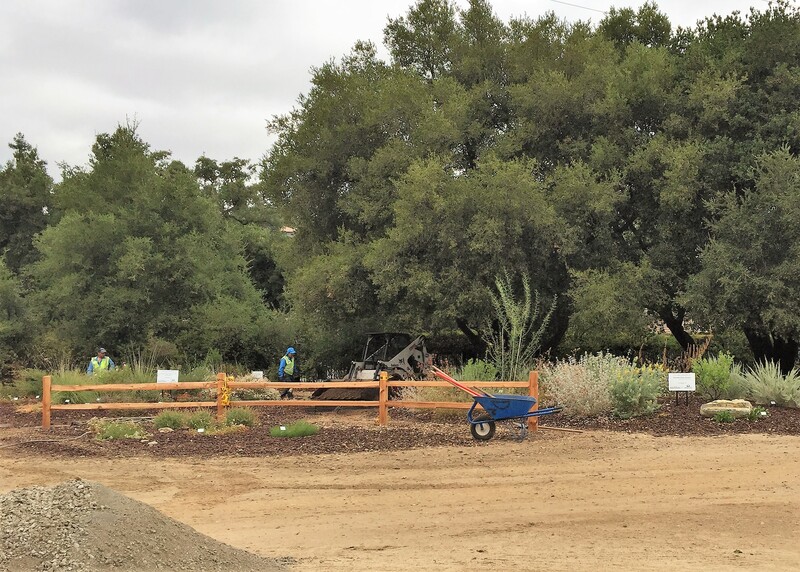 A grant was provided by the Water District to cover the cost of permitting, and the project moved forward. Working out all the details and moving parts took many months, and we are excited to finally be able to celebrate the completion of this beautification effort. 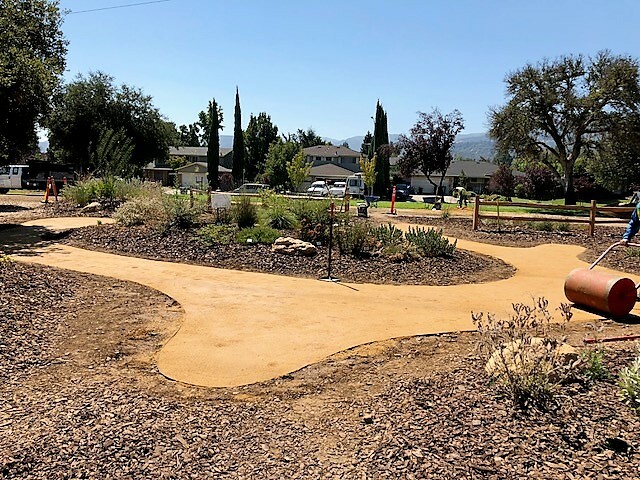 We are grateful to Michael for all the work he did to make this possible and those he partnered with here at the City, the Water District, and the MFPA to bring this special project to fruition. He found some amazing artists who have all done a fantastic job! For the celebration on December 8th, we will be meeting near the dog park on Golden Oak Way at 8:30 AM. Several of the vaults are visible nearby, and a map will be provided to show the locations of all the vaults, along with the names of the artists. Guests are encouraged to walk through the park to view these lovely works of art. Thanks to Artist, Megan Stevens (http://www.meganstevens.com/), we have another beautiful addition to our park. From this ugly block in front of Tree 13 to this beauty. 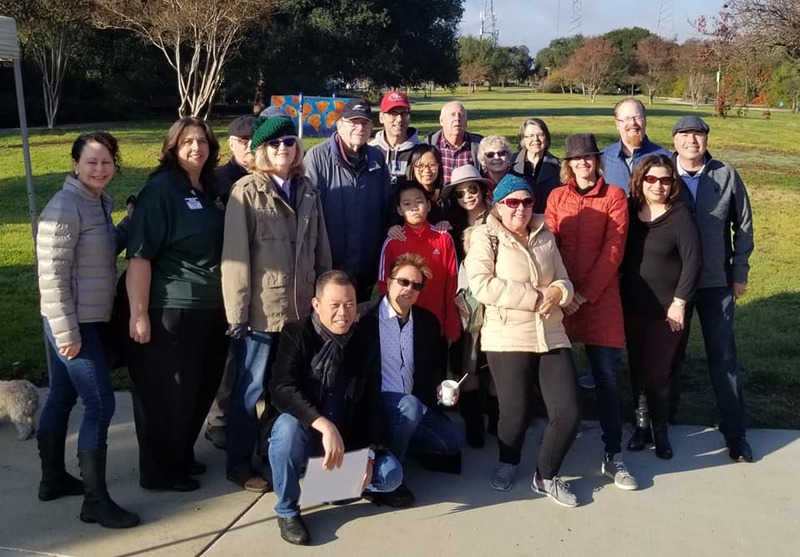 Our thanks to Michael Ogilvie, the City of San José Director of Public Art, Santa Clara County Water District & Councilmember, Johnny Khamis for making this project possible. 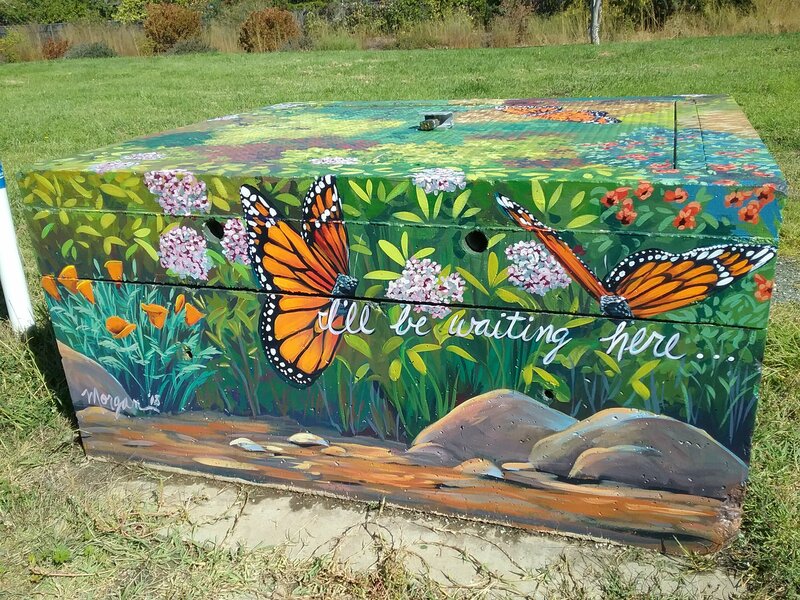 Thanks to Artist Megan Stevens, we have a beautiful piece of artwork on display in Jeffrey Fontana Park near the corner of Meridian Ave & Oakglen Way. Doesn’t it look better than an ugly concrete block?! Thanks, Megan. Great job! This beautiful painting & the one below were done by Artist Morgan Bricca (morganmurals.com). It’s located just East of McAbee Rd. in Jeffrey Fontana Park before crossing the pedestrian bridge in the Butterfly Garden area. Thanks to Dave Poeschel for the photo. The BrightView professional landscaping company has completed construction of a pathway in the 5 Islands project. Five inches of earth were removed before putting in a rock base and decomposed granite. 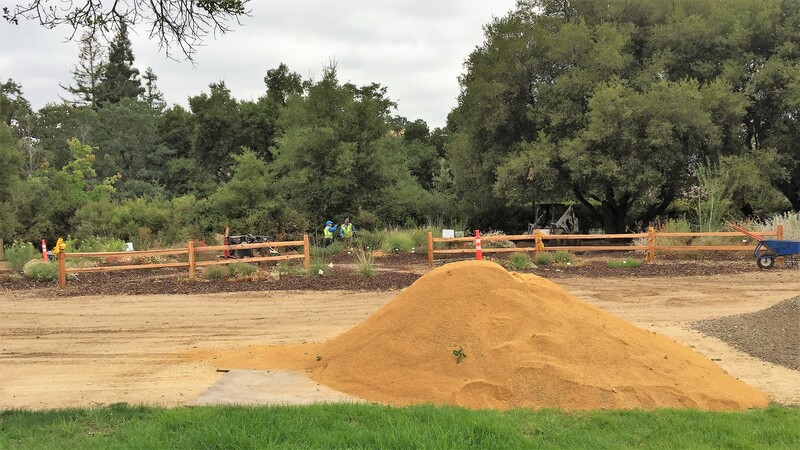 The 5 Islands project is located east of the corner of Meridian and Golden Oak Way in Jeffrey Fontana Park. The pathway is not primarily utilitarian. 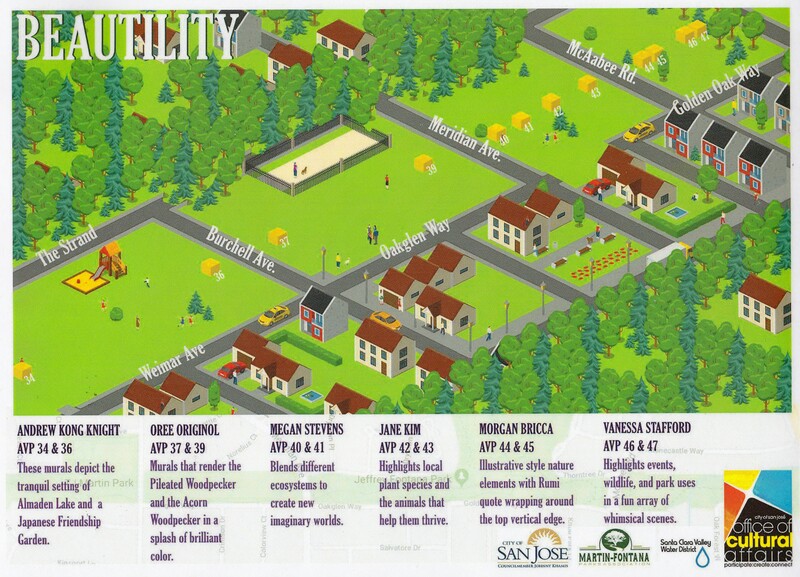 The combination and array of the islands, boulders, native plants, split-rail fence, and Ironwood tree, combined with the paths as illustrated below, form an integrated landscape feature. The purpose is to draw the eye of the park user to the array, see it as an ‘isolated’ destination, one to visit and contemplate. Although the walking paths do not encircle the islands, they will give you that impression. Vault painting has begun with artist, Vanessa Stafford. Good news! I just heard word that the bulk of construction work on the interior of the vaults by the water district’s contractor has been completed. They have given us a notice to proceed with painting starting this Saturday, 8/25. Our conservator is scheduled to pressure wash and clean the vaults on August 23 and 24th. All work by the artists must be scheduled with the water district and I am working to coordinate the artist’s schedules and align those with servicing needs of the district. The deadline to complete this project was moved to November 30. So, the artists have three months to complete the work.